Hello everyone. I hope all is well with you. I’m back today with another Slice of Life Post. I’m thrilled because this is the last week of the school year. I’m ready for summer vacation. It’s time to do some reading and lots and lots of writing. I’m very excited about my current WIPS. My third beta reader hasn’t finished my novel yet, apparently she’s been busy at work and hasn’t had a chance to read. Groan. It’s hard to wait! While I wait, I’m working on another WIP and doing some reading. I’ve discovered another author that I love. Am I the only one that binge reads an author? I hope not. 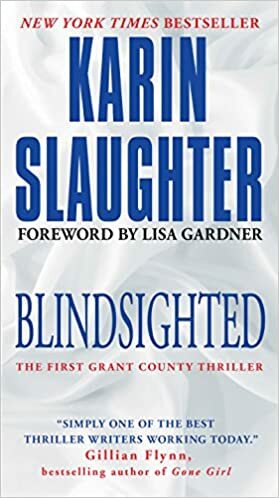 Anyway, the author I’m starting my summer with is Karin Slaughter, and right now I’m reading the first novel in The Grant County Series. The cover and blurb are below. I plan on reading this series during the summer along with some other fun reads. When I’m done with these, I’ll be picking up some awesome YA reads! Thanks for stopping by and checking out my TBR pile. Do any of you binge read an author? It’s one of my favorite things to do! For more Slice of Life Posts click here. I love discovering a new author, then devouring everything they’ve written. I don;t read many mysteries, but when I do, I remember how much I enjoy them. I will add her to my pile. Thanks. You’re welcome, Adrienne! Thanks for stopping by! 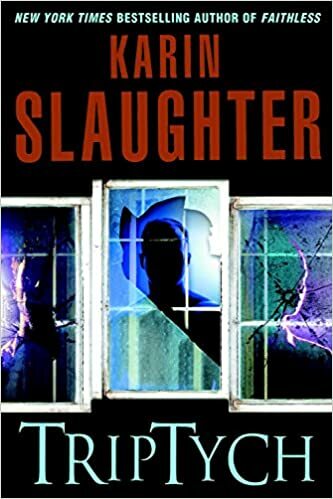 I’m adding Slaughter’s books to my Goodreads as soon as I hit “Post Comments”. I’m always on the look out for a new author! Love to get a peek at someone’s TBR pile. My pile is quite huge right now from all the ARCs I received at TLA. I feel guilty if I don’t read them in a timely manner and pass them on…or put them in my bookshelves because I can’t part with the characters. I will keep your author find in mind. Yes, I binge read authors! Although most of reading are middle grade and YA books, these look really good. I just might have to make a switch for a wee bit! Happy reading! I read a lot of YA and MG books, too, but these are great mysteries. 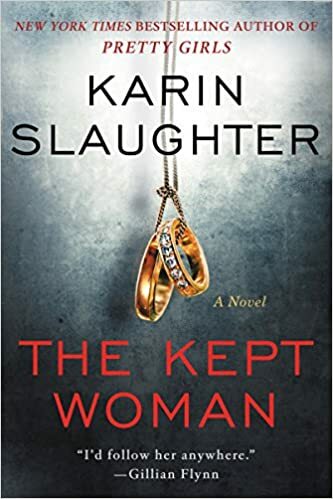 So whenever you need some adult fiction, look her up! 🙂 I also absolutely love binge reading when I find an awesome author, don’t you? Binge reading in store for you, Lisa. Thanks for sharing. You’re making me want to make a list of summer reads, too!! I binge read an author also. Then, I am crestfallen when I have to wait for a new book. Thanks for the recommendations. Thanks for sharing these book blurbs! I love to find a new author. I noticed that one of the books I picked up earlier from the public library is by Lisa Gardner, who wrote the forward for Blindsighted. 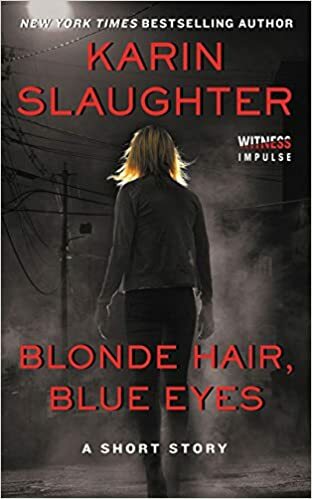 Some summers, I binge read one particular author; but this summer, I have some middle grades books, some grown up mysteries, and a new YA title in my beach bag – a real variety. Enjoy your reading time; and keep us posted!!! I sure will, Lori and let me know if you come across a title that you loved because I’m always on the lookout for a great story! Thanks for stopping by and sharing your thoughts! I think I just might have to add one or more of these titles to my summer list, too. If you like mysteries, you won’t regret it! I love binging on writers, especially when it is a series. It is like meeting up with friends and getting to know them better. 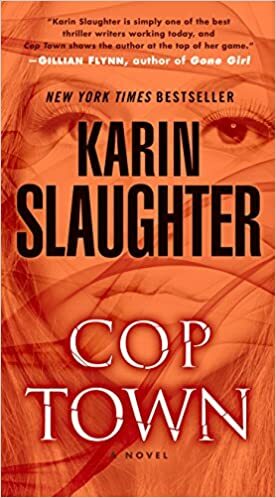 I’m so glad you liked Pretty Girls and that you are reading Karin’s other books (hope you like them too!!!) YAY!!!! I also like to binge read authors, especially when they have a completed series. Then I can just immerse myself into that world for several days or more! Plus I’m not left hanging for a year (or 2) in-between books and then trying to remember what happened.